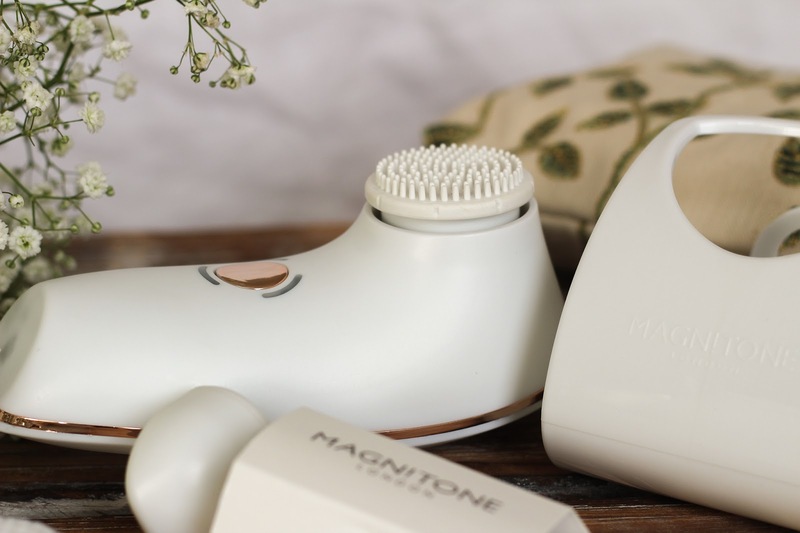 The award winning Magnitone Bareface 2 Vibra-Sonic™ cleansing and toning brush is the ultimate tool in skincare and it's super easy to add into your skincare routine because the extra step only takes a minute. 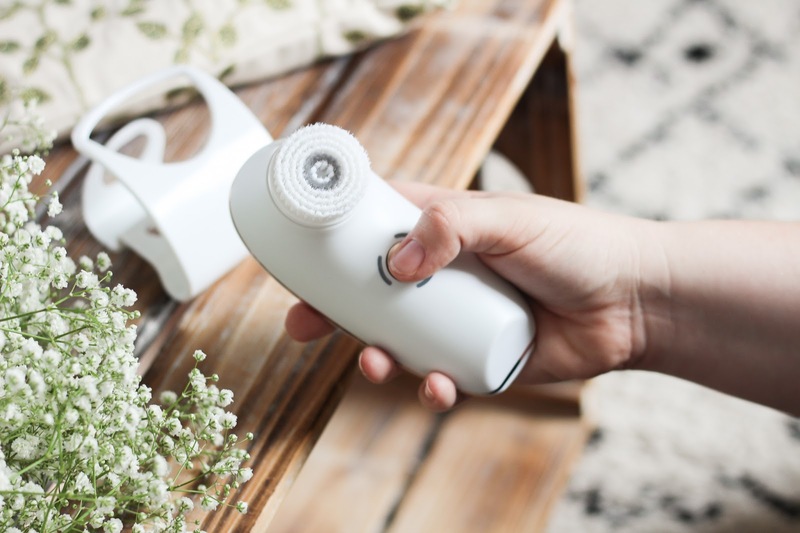 The brush comes with absolutely everything you need for clearer, smoother skin and with interchangeable hands, it's even easier to cleanse and tone properly. 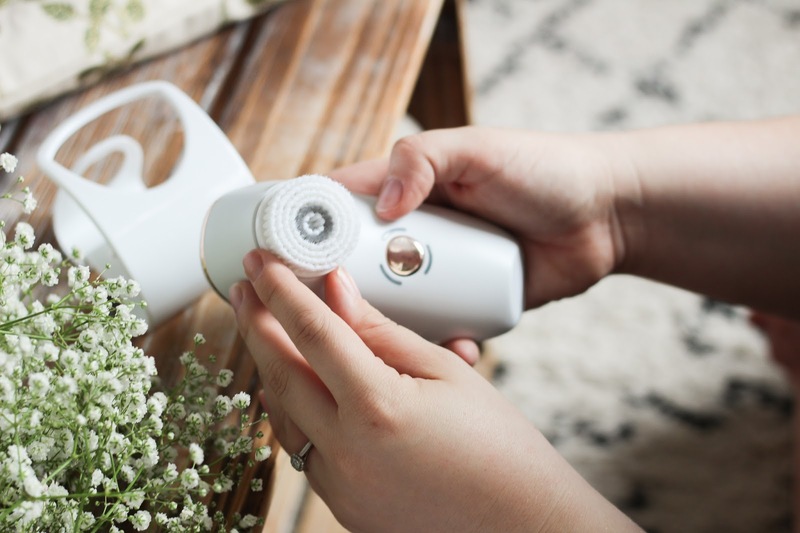 The first head is the PoreFect antibacterial daily cleansing brush, you just dispense your chosen cleanser on to your skin or the brush head and get to work. The brush has a built in timer so you'll know exactly when you need to stop and switch heads to the Tone It Up! silicone brush head for skin stimulation, the toning head also helps the skin absorb product better. Before trying a cleansing brush, I worried my skin wouldn't take to it but the brushes are suitable for all skin types, even sensitive skin. This particular brush has three modes, sensitive, deep cleanse and PulseLife Toning so you can find your perfect setting. 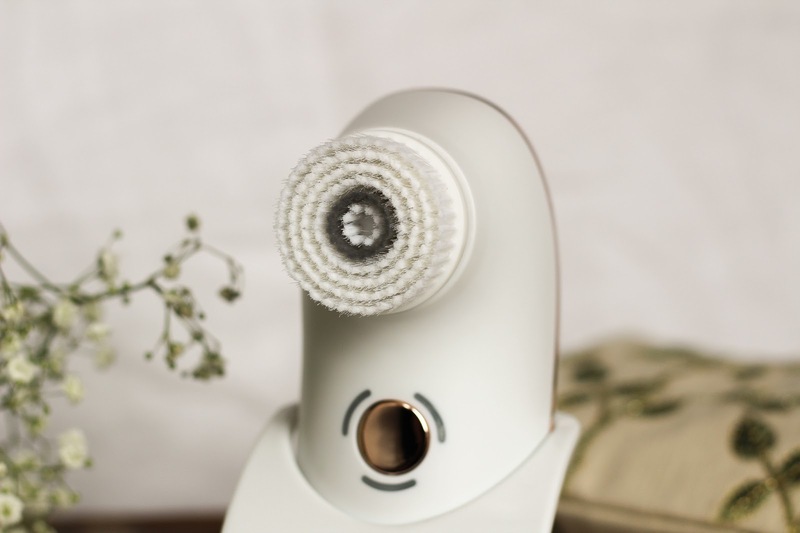 It's also six times more effective than other brushes and thanks to the unique combination of sonic oscillations and pulsed vibrations which help deeply cleanse, massage and tone the skin. 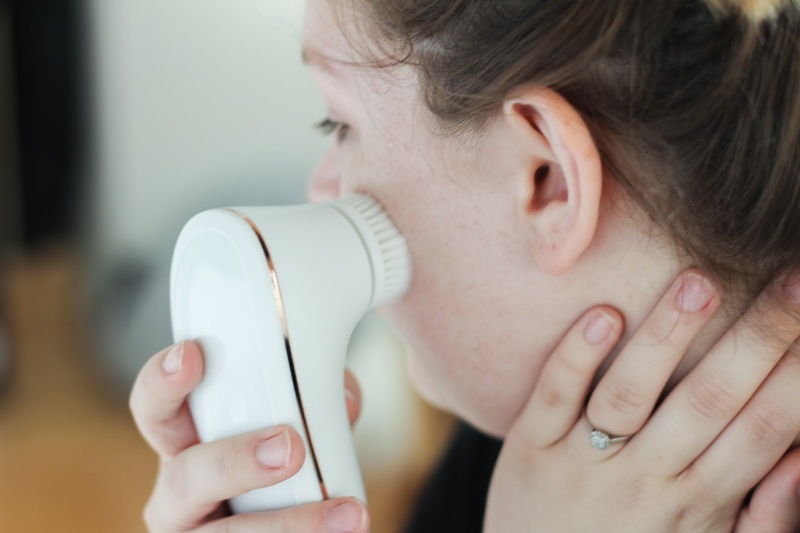 Dirt is whipped out of your pores and dead skin skills are swiped away, it's the easiest at home facial you'll ever experience. 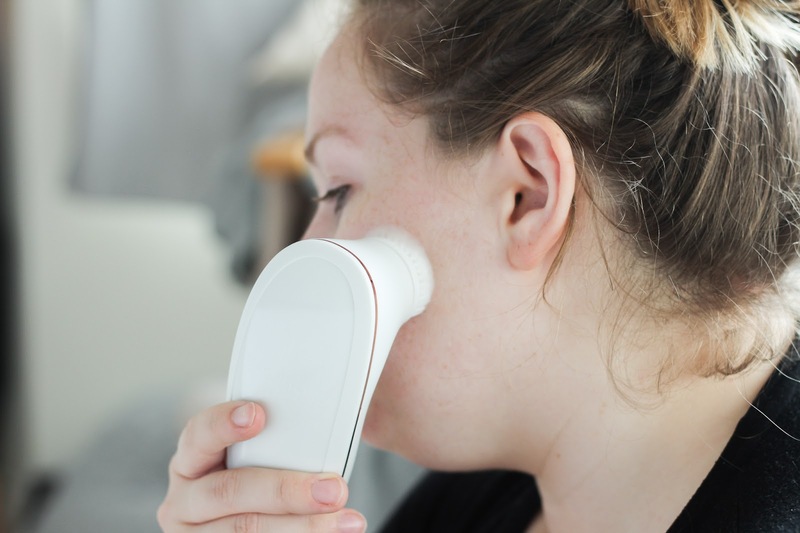 My skin has changed a lot over the years, especially since having Joshua and as I approach my thirties (oh the horror) switching up the products and tools I use have been essential for keeping my skin clean, smooth and fresh looking. This brush is a big factor in how my skin stays so clear, I get the odd menstrual spot but other than my skin is really clear and this helps keep any impurities at bay and leave a smooth base for the rest of my skincare. This brush paired with my Eve Lom cleanser is a match made in heaven. 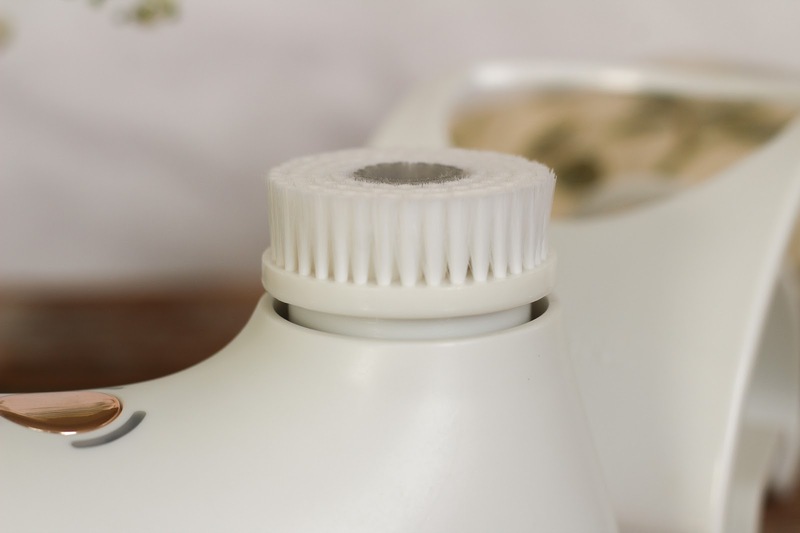 The brush comes in white or pink, it's completely waterproof and has a handy bath caddy to keep it within reach in your bathroom at all times. Charging up is also a breeze thanks to the wireless USB charger, something I love about Magnitone, I've always found it charges up quickly as well. With Christmas right around the corner, it is the perfect time to add some cleansing goodness to your Christmas wish list and while you're at it, the Wipe Out Cleansing Cloth is pretty fab too! I’ve heard so much about this, I love a cleansing brush. I love the design. 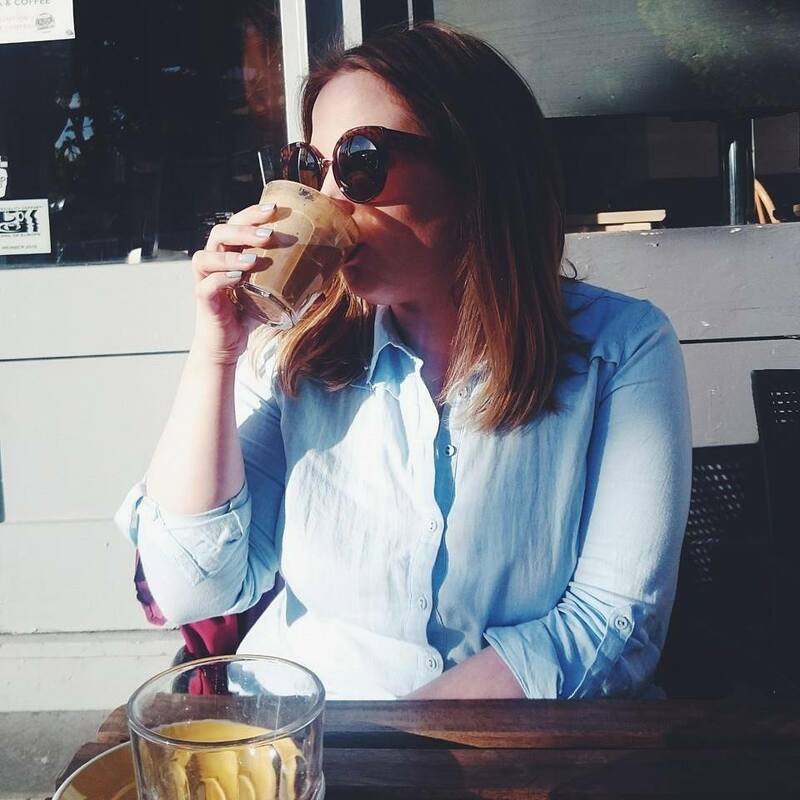 I've heard so many mixed reviews about these types of thing - I guess everyone is different and you don't know until you try! I have a similar thing by no7, but it’s getting a bit old now - this would make a fab upgrade! I have heard such great things about face brushes, but I haven't tried one for myself.